Check out Tobi's Just Jane Fur Sweatshirt Made to snuggle up in, the Just Jane Fur Sweatshirt is seriously soft. 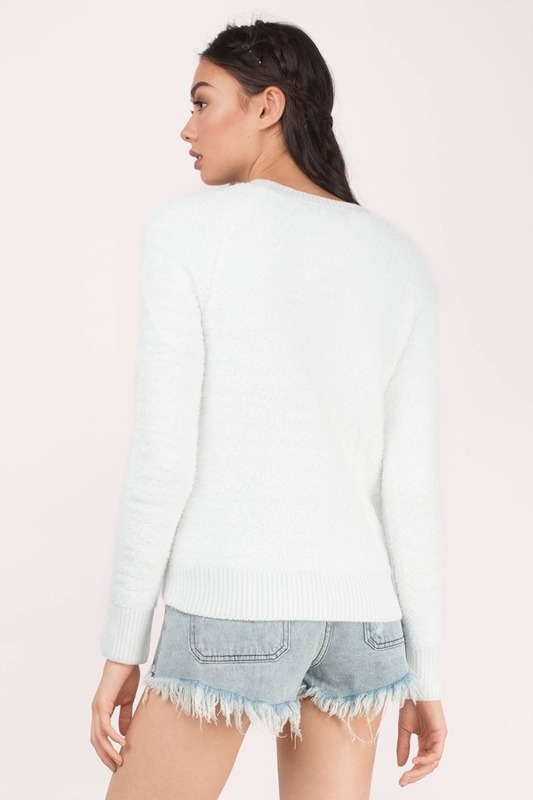 Classic sweatshirt body with a furry knit. Perfect for lounging with some sweatpants. 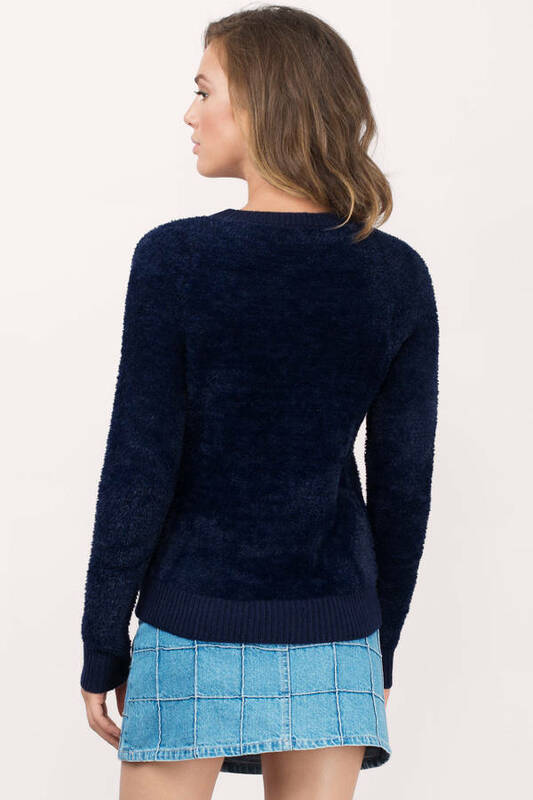 Made to snuggle up in, the Just Jane Fur Sweatshirt is seriously soft. Classic sweatshirt body with a furry knit. Perfect for lounging with some sweatpants. Model's profile: height 5' 8", bust 32", waist 24”, hips 34"
Model's profile: height 5' 8.5", bust 32", waist 25", hips 35"